What are the Best Cookie Baking Sheets? When choosing a cookie baking sheets, you should be aware of the options to find a sheet that meets your needs. A few considerations are size of the baking sheet, materials – when to use aluminium and why choose stainless steel, color and why this is important, weight, when to use a baking tray rack. Note: If you use a recipe that calls for oil, the cookies will spread more, and require a larger cookie baking sheet. Think about the average cookie batch size you tend to bake regularly when trying to find the best one for your needs. Large cookie sheets may heat unevenly if large areas of the sheet are not covered by dough. They may not be large enough to allow you to leave adequate space between the cookies. This is important because of cookie spread. If you tend to make cookies with baking fat like lard or margarine, a smaller sheet may suffice. Are you baking plain cookies, chocolate chip or any other type of common cookie? An aluminium baking sheet is an excellent choice if your answer is yes. However if you frequently make more unusual cookies that contain acidic foods like lemon or orange, it’s important to remember that aluminium and acid react, and your citrus cookies might develop a slight metallic taste. In this case use a stainless steel baking tray. If it’s a one-off you can simply line an aluminium cookie sheet with baking paper alternatively silicone baking sheets will work well. When it comes to color, prettier does not always mean better, and the best cookie sheets may be those that perhaps don’t look as attractive as others. Darkened metals do look lovely, and they fit in with many different kitchen decor styles, but it’s important to remember that the darker the color, the more heat that’s retained. Meaning your cookies keep cooking long after you’ve switched the oven off, causing over-browning or even burning. Always look for cookie sheet pans that are light in color and shiny so they reflect the heat, rather than absorbing it. Some bakers will tell you that insulated sheets are the best cookie sheets. The reason for this is because insulated cookie sheet pans contain 2 layers of metal with a gap in between. This regulates the temperature of the pan, controlling heating levels and ensuring the cookies bake at a lower temperature. This results in a product that is evenly cooked, and browned to perfection. Note: If you regularly make cookies that have a high fat content, insulated cookie sheet pans can prove troublesome. The fat inside the cookie dough melts when warmed. If the dough isn’t hot enough to begin to solidify, that fat will leak out of the dough, leaving you with soggy-bottomed cookies that are dry and flaky in the middle. Lightweight cookie sheet pans are very inexpensive, and they’re great if you’re making cookies with children and they want to help lift the pan into the oven. However they’re not considered to be the best cookie sheets. They can easily buckle when exposed to high temperatures. A heavy duty cookie baking sheet will keep its shape in the oven and, if cared for properly, should last a lifetime. Depending on circumstances, it’s recommended that bakers purchase heavier, more durable cookie sheets for optimal results and unrivalled ease. This baking tray rack is a must for your kitchen. Add versatility to your baking sheets with this baking tray. 1.Use the baking rack for cooling your cookies when you’re wanting to get airflow around them to get that perfect crunch on the outside. 2. Use the rack for baking to lift your vegetables or meats and chicken out of the tray for an even cook all round. Elevating your chicken or meat gives a crispier result because of the airflow underneath. You’ll also have a healthier cook. Oil drips down from the food into the tray. For easy cleaning, line the tray with baking paper. The baking tray rack is easy to clean, after the first few uses you’ll wonder how you managed without it. If you’ve a limited amount of space in your kitchen you’ll find a baking tray/sheets rack storage very handy. They allow you to stack your baking trays and cookie sheets. They’re inexpensive and for these 2 reasons they are well worth the investment. Firstly you can always find the cookie sheet you’ve after without having to search awkwardly in the very back of your cupboards and secondly keep you cupboards organised. 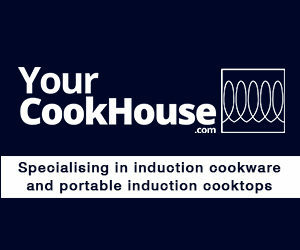 The good news is the industry is diverse, and whether you’re open to any sort of sheet or have particular requirements, you’ll find it easy to find cookie sheet pans that tick all the boxes for you. Remember what constitutes the best cookie sheets really is relative. What’s right for one baker may not be the best choice for another. Find cookie sheets here to suit your preference.